With Veterans Day falling on a Sunday this year, there are some changes worthy of note if you’d like to attend a ceremony in Kane County. For Kane County government offices, the holiday is observed on Monday, Nov. 12. Communities throughout Kane County celebrate with a variety of events and ceremonies. Below is a list of several of the most popular events, but we hope to list as many as we can and update this post frequently. If you know of a Veterans Day event or ceremony in Kane County that’s not listed here, please email a link, photo and additional information to kanecountyconnects@gmail.com. The city of Aurora, with support from the Aurora Veterans Advisory Council, will host the annual Veterans Day Parade beginning at 10:15 a.m. on Sunday, Nov. 11, 2018. During the ceremony, veterans Mayor Richard C. Irvin, state Rep. Linda Chapa LaVia, state Rep. Stephanie Kifowit and other guests will pay tribute to fellow veterans. They will be joined by Capt. Anna Gonzales, the acting regional health administrator for the U.S. Department of Health and Human Services, Office of the Assistant Secretary for Health, Region 5. In commemoration of the end of World War 1 and the signing of the armistice on the 11th day of the 11th month at the 11th hour, the traditional military rifle salute will commence at 11 a.m. In tribute to the centennial of this historic Armistice of Nov. 11, 1918, the city will join the national Bells of Peace initiative and toll a bell during the same time. The parade will step off from the corner of Broadway and Benton Street, travel north on Broadway, then west on Downer Place to the Grand Army of the Republic Memorial Hall, 23 E. Downer, where the ceremony will take place. 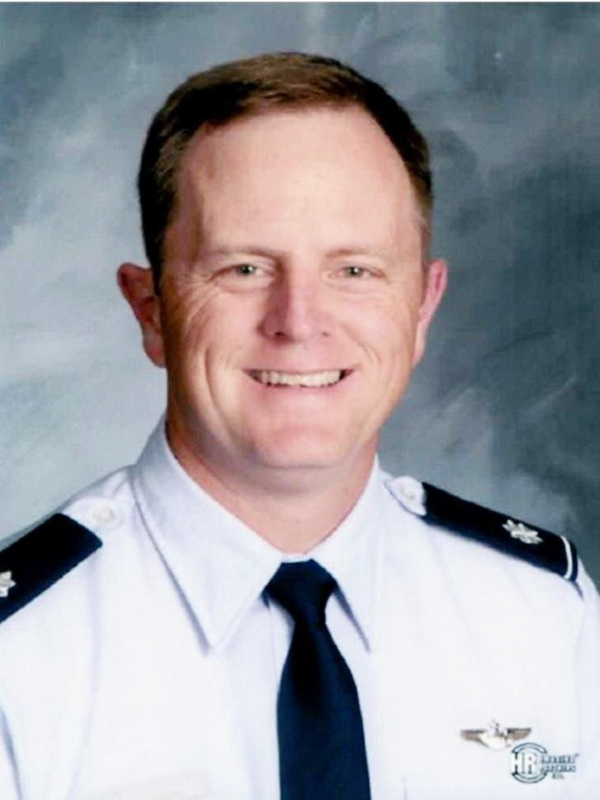 The 2018 Keynote Speaker for the Veterans Day Ceremony is Lt. Col. Erik Pettyjohn, the senior aerospace science instructor for the Air Force JROTC Unit at West Aurora High School — the two-time national champions. Pettyjohn is a third generation fighter pilot and retired U.S. Air Force officer. He retired in June 2011 after 20 years on active duty in the United States Air Force. Pettyjohn spent 10 years as a fighter and instructor pilot. He flew F-16 fighter aircraft over Iraq in support of Operations Northern Watch and Southern Watch. He also spent 10 years of his Air Force career as a project manager and engineer. His final assignment was as the 640th Electronic Systems Squadron commander, with more than 100 personnel under his command and an annual budget of more than $120 million. Pettyjohn graduated from the University of Illinois in Champaign-Urbana with a bachelors of science degree in aeronautical and astronautical engineering. He holds an MBA from Aurora University, a masters degree in systems management from the University of Southern California and a masters degrees from the Air Command and Staff College. Among his decorations, Pettyjohn has been awarded the Meritorious Service Medal, two Air Medals, and in 1997 he was awarded the Billy Joe Dryden Semper Viper Award — an award given for the top feat of airmanship in the F-16 out of the 19 Air Forces worldwide that fly the F-16 fighter aircraft. Immediately following the ceremony, the G.A.R. Memorial Hall will be open for tours. From 9 a.m. to noon, the Aurora Historical Society will provide free coffee and donuts to spectators at the Art and History Center, 20 E. Downer Place. The city of Elgin, in partnership with American Legion Post 57, will honor our nation’s veterans during the annual Veterans Day ceremony, scheduled to take place at 11 a.m. Sunday, Nov. 11, at Veterans Memorial Park, located at 270 N Grove Ave, Elgin, IL 60120. All are invited to honor those who have served in the United States Armed Forces. The ceremony will feature opening remarks from Chief Ana Lalley, remarks from Mayor David Kaptain, speakers from local veterans organizations as well as several musical selections. This year’s event will also recognize the 100th anniversary of the American Legion. Join the village of Huntley in honoring veterans Nov. 11 at the Town Square. Veteran’s Day Ceremony — 11 a.m. (sponsored by Huntley Legion Post 673)Honoring Our Veterans Collection Event — 10 a.m. to 1 p.m.
Help stock the shelves at New Horizons — a transitional living program for homeless Veterans. Volunteers will be at the Huntley Veteran’s Memorial. Please drop off the following much-needed items: Bath Soap / Body Soap / Canned Goods / Copier Paper / Deodorant (men and women) / Gas Station Gift Cards / Napkins / Paper Plates / Paper Towels / Pastas & Pasta Sauces / Razors (men and women) / Rice / Socks / Tide Laundry Pods / Toilet Paper / Toothbrush & Toothpaste / Winter Coats, Hats and Gloves. North Aurora commemorate and honors veterans of the U. S. Armed Forces for all their service and support at a ceremony set for 2 p.m. Sunday, Nov. 11, at the North Aurora Veteran’s Memorial, located at the intersection of Farview Drive and Willow Way. The North Aurora Honor Guard, the Fox Valley Marines, and Marmion Military Academy will participate in the ceremony. Military re-enactors will be available with a display of artifacts, equipment, uniforms and items from past wars. The historical items will be on display from 1 p.m. to 3 p.m. The city of St. Charles Annual Veterans Day Ceremony will be at a new date and time this year: 9 a.m. Saturday, Nov. 10, inside St. Charles Fire Station #1, 112 N. Riverside Ave.
Waubonsee Community College will host a Veterans Day observance on Monday, Nov. 12. The event will feature remarks by Dr. Paul Herbert, a retired Army colonel and current executive director of the First Division Museum at Cantigny. The event will also feature a presentation of colors by members of the East Aurora Navy Junior Reserve Officer Training Corps, as well as music performed by students of the Waubonsee music department. The event will be held in the Academic and Professional Center starting at 11:15 a.m.The ceremonial band of the Navy Band from Great Lakes Naval Station will perform a concert immediately following the commemoration event. The concert will also be held in the Academic and Professional Center at noon. Originated as “Armistice Day” on Nov. 11, 1919, the first anniversary of the end of World War I. Congress passed a resolution in 1926 for an annual observance, and Nov. 11 became a national holiday beginning in 1938. Unlike Memorial Day, Veterans Day pays tribute to all American veterans — living or dead — but especially gives thanks to living veterans who served their country honorably during war or peacetime.